Profile E.D.M. provides full service custom tooling EDM (Electrical Discharge Machining) in the Greater Toronto Area (GTA). 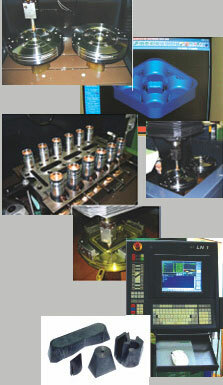 We're different because we specialize in both Wire EDM and Sink EDM services. Our customers are manufacturers in Canada from the aerospace, tool & die and mould making industries - as well as others. XYZ Travel 21.5" x 14" x 12.5"